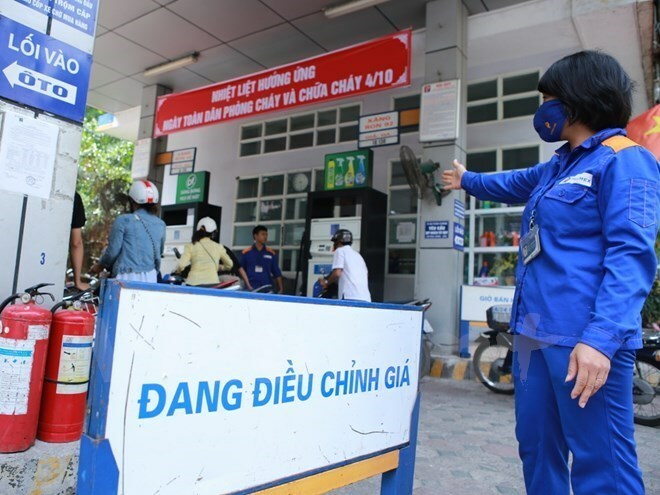 Hanoi (VNA) - The ministries of industry and trade and finance decided to raise retail petrol prices as from 3 p.m on August 4. Accordingly, the price of RON 92 increased by 599 VND per litre, E5 bio-petrol by 572 VND per litre, diesel 0.05S by 466 VND per litre, and kerosene by 462 VND per litre. The ministries said RON 92 is sold at no more than 17,025 VND per litre, while the ceiling price of E5 bio-petrol is 16,823 VND per litre. Diesel 0.05S and kerosene are sold at maximum process of 13,795 VND and 12,398 VND per litre, respectively.